Below is a list of all of the deities in Dragonlance and their respective domains. Domains marked with an asterisk are domains unique to the setting and are detailed below. 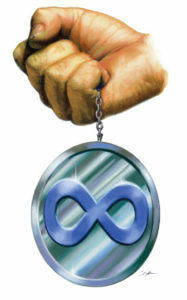 The rest may be found in the Pathfinder Roleplaying Game Core Rulebook or at http://www.d20pfsrd.com/. Granted Powers: You embody the unrelenting spirit of interaction and enterprise. Master Negotiator (Ex): You may automatically take 10 on all Appraise, Diplomacy, Profession (any one), and Sense Motive checks. Any time you make an Aid Another check to assist an ally with a skill check, the character you’re helping gets a +4 bonus on his or her check instead of the normal +2. Untiring Aura (Su): At 8th level, you can emit a 30-foot aura of rejuvenating energy for a number of rounds per day equal to your cleric level. You and your allies within this aura are immune to fatigue and exhaustion and gain a +4 bonus to saving throws against all enchantment mind-effecting effects. Granted Powers: You have an intuitive understanding of how the world works. In addition, you gain uncanny dodge as a class ability. If you already have uncanny dodge from another class, you gain improved uncanny dodge instead. Right Place, Right Time (Su): During combat you can extend a 5 ft. step into a 10 ft. step a number of times per day equal to 3 + your Wisdom modifier. See the Unseen (Su): At 8th level, you can emit a 30-foot aura that grants your allies the ability to see invisibility (per the spell) for a number of rounds per day equal to ½ your cleric level. These rounds do not need to be consecutive. Domain Spells: 1st – true strike, 2nd – zone of truth, 3rd – locate object, 4th – tongues, 5th – commune, 6th – mass owl’s wisdom, 7th – greater arcane sight, 8th – moment of prescience, 9th – foresight. Granted Powers: Communion with your god offers spiritual enlightenment and knowledge beyond normal mortal reckoning. Meditative Touch (Sp): You can touch a creature as a standard action to grant it an insight bonus equal to ½ your cleric level (minimum +1) to their next Intelligence or Wisdom-based skill check. You may use this ability a number of times per day equal to 3 + your Wisdom modifier. Empty Mind (Su): At 6th level, you may apply the Empowered Spell feat to a spell you are about to cast without increasing the casting time. This ability does not use up a higher-level spell slot. You can use this ability once per day at 6th level, and one additional time per day for every six cleric levels you possess beyond 6th. Domain Spells: 1st – comprehend languages, 2nd – owl’s wisdom, 3rd – locate object, 4th – tongues, 5th – spell resistance, 6th – find the path, 7th – spell turning, 8th – mind blank, 9th – astral projection. Granted Powers: You can harness the power of your emotions to achieve miracles that can either terrify or inspire. Touch of Zeal (Sp): You can touch a creature as a standard action to grant it a morale bonus equal to 1/2 your cleric level (minimum +1) to all skill checks for 1 round. You can use this ability a number of times per day equal to 3 + your Wisdom modifier. Cult of Personality (Su): At 8th level, you can add your cleric level as an enhancement bonus to your Charisma score for a number of rounds per day equal to your cleric level. This bonus only applies on Charisma checks and Charisma-based skill checks. These rounds do not need to be consecutive. Domain Spells: 1st – unbreakable heart, 2nd – hideous laughter, 3rd – rage, 4th – crushing despair, 5th – fear, 6th – greater heroism, 7th – song of discord, 8th – irresistible dance, 9th – freedom. Granted Powers: You delight in spreading the horror of disease and plague to others. Disgusting Touch (Sp): You can cause a living creature to become nauseated for 1 round as a melee touch attack. However, once a creature as been affected by this ability, it is immune to its effects for 24 hours. You can use this ability a number of times per day equal to 3 + your Wisdom modifier. This is a mind-affecting effect. Unholy Carrier (Ex): At 6th level, you are immune to the effects of all diseases, including supernatural and magical diseases, but you can still carry these diseases and infect others with them. Any time you would normally be required to make a Fortitude save to to avoid being infected with a disease you can choose to become a carrier instead. Once per day, you can make a melee touch attack to infect a target with an enhanced version of any disease you carry. The Save DC to resist the enhanced disease is 10 + 1/2 your cleric level + your Wisdom modifier. It’s initial effects are one and a half times worse than the normal version. However, subsequent effects resulting from a failed saving throw are at the standard effect rate for the disease. Once you have passed along a disease to another creature you are no longer considered to be a carrier until you are exposed to that disease again. You can use this ability one additional time per day for every six cleric levels beyond 6th. Domain Spells: 1st – doom, 2nd – summon swarm, 3rd – contagion, 4th – poison, 5th – greater contagion, 6th – eyebite, 7th – creeping doom, 8th – unholy aura, 9th – energy drain. Granted Powers: You have a gift for strategy and foresight and are seldom caught unawares by the world around you. Touch of Foresight (Su): You can touch a creature as a standard action, allowing it to do an additional +1d6 precision damage on a successful attack. You can use this ability a number of times per day equal to 3 + your Wisdom modifier. Strategic Spell (Su): At 6th level, you may apply the Extend Spell feat to a spell you are about to cast without increasing the casting time. You may use this ability once per day at 6th level and one additional time per day for every six cleric levels beyond 6th. Domain Spells: 1st – detect snares and pits, 2nd – augury, 3rd – clairaudience/clairvoyance, 4th – sending, 5th – true seeing, 6th – heroes feast, 7th – greater scrying, 8th – discern location, 9th – time stop. Granted Powers: You are attuned to the River of Time like few others, and can bend it to your will. Temporal Insight (Sp): As a melee touch attack, you can penalize a creature’s armor class, saves, and skill checks by -1 or grant them a bonus to these things of +1. You can use this ability a number of times per day equal to 3 + your Wisdom modifier. Between Moments (Sp): At 8th level, you may take an extra move or standard action. You can use this ability once per day at 8th level, and one additional time per day for every five cleric levels you possess beyond 8th. Domain Spells: 1st – true strike, 2nd – temporal shield, 3rd – hold person, 4th – freedom of movement, 5th – permanency, 6th – selective temporal sphere, 7th – moment of prescience, 8th – foresight, 9th – time stop. No my brother, where I go, you cannot follow. Strong as you are, it would lead to your death. We are finally as the gods meant us to be, Caramon – two whole people, and here our paths separate.